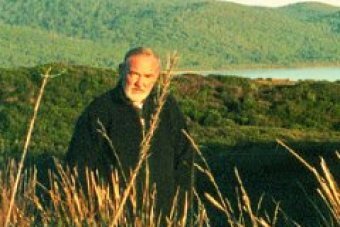 ABC Poetica recently re-broadcast the programme on Ian Johnston, translator of ‘Waiting for the Owl’ and ‘Singing of Scented Grass’. If you missed it you can download it from RN website and listen to these wonderful translations of poems from ancient China by winner of the NSW Premier’s Translation Prize. Ian’s books are available from Pardalote Press. This entry was posted in All posts, Pardalote Press News and tagged Chinese poetry, Ian Johnston, Pardalote Press, poetry, translation prize. Bookmark the permalink. Just read about Ian Johnston in the “Caravanstan” book and am pretty sure Ian was the person who adopted Polar (a lovely Great Pyrenees dog and a blood relation of his dog Reg) from neighbours of ours at Austinmer north of Wollongong who had to find a new home for Polar. As we all loved Polar, and were extremely happy that he moved to acreage and space on Bruny (he had lived in a small backyard although he got lots of beach walks), is it possible you could confirm if Polar did go to live with Ian and Reg? As this would have been around 10 years ago, I am sure that Polar (and Reg) are probably both in that great dog playground in the sky by now, but would love to know. I have met Reg who , sadly, passed away some years ago. I don’t recall a dog called Polar but Ian has had a few dogs since Reg left and now has the company of two Great Pyrenees – maybe one of them is called Polar. Ian tells a touching story of how, one day while he was swimming in his lap pool, Reg came to the edge of the pool and licked his face, then set off into the bush where he lay down and didn’t get up again. I have seen photographs of the two dogs Ian and Susie have now having a wonderful time romping on the beach. They are very much loved.